With the economic turmoil that started a little over two years ago, coupled with the Madoff scheme, it made me wonder why it happened in the first place and how it could have been avoided. I often wonder how the C level executives and leaders across those enterprises that caused these problems can sleep at night. Having an accounting background, I cannot understand how the management of the companies who had financial problems did not know that their company was in trouble. What did they do when it was first brought to their attention? Didn’t they have the obligation to communicate to their shareholders that there was a problem? I believe it is every leader’s responsibility to be transparent to their constituents at all times. It does not take a rocket scientist to know that trouble is looming and that in order to avert a problem corrective action must be put in place to address the issue. The only conclusion I was able to draw from the whole situation is that the leaders of the troubled companies are not authentic leaders. Authentic leaders have integrity and lead with compassion for their people. Like all other leaders they have the vision, insight, influence and followers. But the difference between a regular and authentic leader is that the authentic leaders care. They truly care about their constituents. Sometimes I lament that there is no blueprint for selecting a leader for any position. If there were a book or blueprint, would it help minimize the extent of the problem? 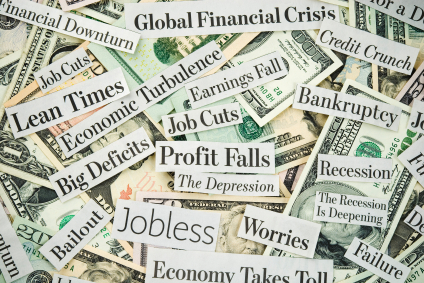 At some point, the economic boom led people to believe that it would continue to be that way. Greed is what broke the camel’s back. Things would be better if we had authentic leaders back then to avert such a situation. The next time you meet a leader in your organization; does it make you wonder what their motives are? One would certainly hope that the person leading them is an authentic leader, because we need authentic leaders now more than ever. 1) Is the person an authentic leader? 2) Does he/she have compassion for others? 3) Will this person bend the truth for his/her own benefit? 4) Is he/she easily influenced by others? 5) Is he/she a person of integrity? The world is changing and competition is all around us. The need for authentic leaders is more important than ever. If you’re in position of authority, ask yourself the question: Is doing the right thing your way of doing things? Are you there to serve or be served? Hopefully your answers are doing the right thing and to serve your constituents. 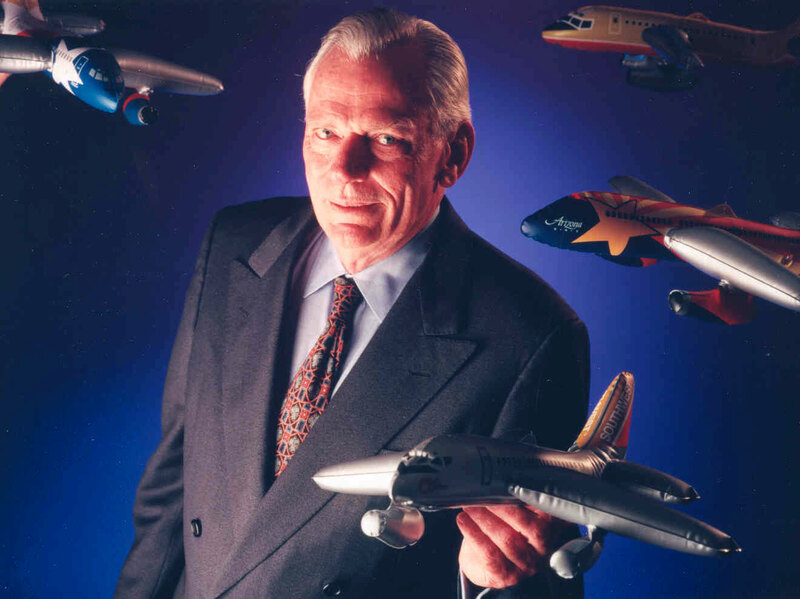 Herb Kelleher, the former CEO of Southwest Airlines, is an example of an authentic leader. A question was once asked him about which one is more important, the shareholders, customers or employees. He said that the employees come first and if employees are treated right, they treat the outside world right, the outside world uses the company’s product again, and that makes the shareholders happy. That is the way it works and it’s not a conundrum at all (Kelleher, 1998, 76). When I meet people who are in positions of authority, I often wonder how many of Herb’s traits they have. In closing, I’ve met a great leader who wants to raise awareness on authentic leadership. His name is Mike Henry Sr. and he spearheads a movement to focus on authentic leadership called Lead Change Group. Visit his site to learn more about authentic leadership. My hope is that the more we learn about it the better things will be around us. Whether we’d like to admit it or not, the culprits were bright people in their own ways and the actions done were intentional. It was creative and it looked like it could work – at least they thought they’d get away with it. Not that I want to put these people in high regards but if an intelligent person deliberately decides to swindle someone, even the cautious ones can easily become a victim. We need moral leaders who still want to do something good for mankind. There are different factors that tempts the most discipline individuals. We may not know the specifics but these culprits was motivated by something. The most common is greed but not always the only reason. Easy money is always going to attract hundreds,thousands and millions of patrons. Its sad really but with the global economic situation we are now facing, I bet another scam is on the rise somewhere. Remember that most scams are designed as services – something that people do for you which you can actually do yourself if you take the time to study them (ie stocks. I agree with you that they are smart, that is why I point out the need for authentic leadership. Leaders who have conscience and compassion for their people and stakeholders. I do agree that awareness and education are the best way of safe guarding ourselves, but many new products coming out on the daily basis, it is a challenge to keep up with it. While greed is not the only reason, lack of integrity is definitely a cause for being involved in such a situation. Ah, perhaps there is one mind after all! Check out my post on Authentic Leadership on the Lead Change Group today! I always have to chuckle when it seems many people are thinking the same thoughts at the same time. Authentic Leadership is the only way we will save our economy, our government, and gain the trust of our employees and customers. This is not just within the U. S., but worldwide. I agree with you that authentic leadership is the only way to save our economy. Do we put a mark on them for them to stand out? How do we best do this without alienating other people? Thanks for sharing your article. A ‘leader’ is not a leader without authenticity in my book! I absolutely agree that authenticity is a primary attribute of a leader. I just hope the society in general learned from the economic turmoil and stop selecting leaders who are not authentic. Will, this is a very thought provoking piece. Thank you for sharing it. For those of us that study leadership, there are many labels. Authentic Leaders, Servant Leaders, Courageous Leaders, etc, etc, etc. What these describe are the qualities we hope our leaders will have. Perhaps it is best that we keep it simple. A leader’s role is to get their team (employees, customers, students, citzens, or whomever they may be) to their stated destination…safely. Then it is up to us as followers to be observant and be sure our leaders have the qualities that will take us there. Herb did this at SWA. Mike is doing it at Lead/Change, and you are doing it here. This is an excellent, thought-provoking post. I just sent it out on Twitter – thank you for your time and effort in writing this!